We’ll provide the talent and £1500 towards the intern’s salary, if you provide an enriching three-month internship in summer 2016. Santander will provide £500 a month for the intern for a three month duration. The SME will put these funds towards paying the intern living wage for the duration of the internship. The Work Placement scheme is a fully-funded one month placement. The hosting organization isn’t required to contribute to the student’s salary at all. The SME will work out internship and work placement arrangements with the University of St Andrews, detailing job descriptions and the desired qualities of applicants. 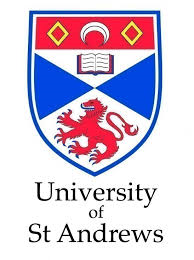 St Andrews will advertise the internship to its students and commence an application process. The SME will then interview the candidates that fit their requirements and choose their summer interns. The University will act as a liaison between the intern and SME, helping to work out details such as starting dates and funding matters.